We have some awesome women who both lead our Monday women's rides as well as partner with newer riders on regular club rides. Kelly and Cheryl are in a codependent best friend relationship that dates back to 2009, when they went backpacking in Hawaii and discovered a shared love for pop tarts and quirky adventures. Kelly has been cycling for about 10 years, and started racing with ERTC in 2017. 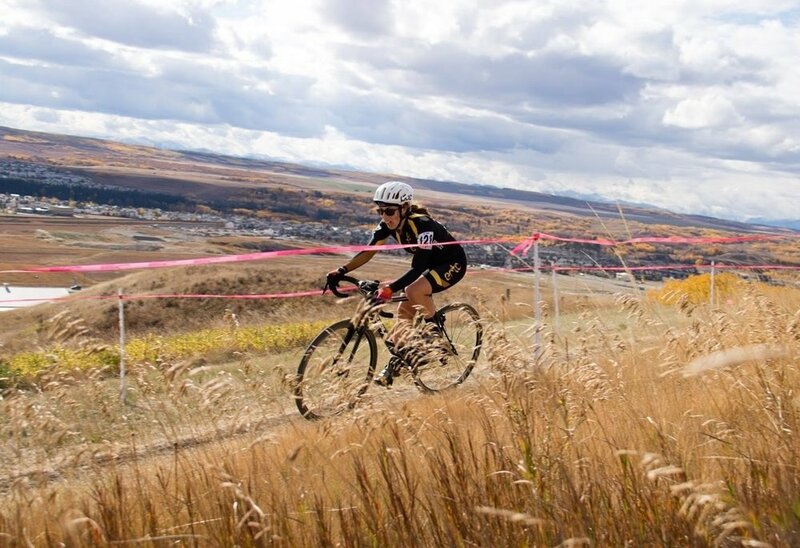 Her crowning achievement involved getting lost during a race and accidentally riding to Cochrane. Cheryl has been doing pastry and charity rides for almost two decades and has categorically avoided all cycling endeavours that would result in any improvement to her fitness. Kelly and Cheryl often lead rides together, and although neither of them has any sense of direction, they do stop for any and all charity ice cream stands, bake sales, food trucks and cute dogs. They promise you’ll have so much fun, you won’t care that you’re lost. Tiffany is our fearless leader and founder of ERTC’s women’s programs. She started riding a bike because of a boy in 2011, and has since gone on to found the Women of ERTC in 2015 and take up road racing in 2017. Tiffany is largely responsible for doubling the number of women in ERTC, as well as the more than 600% increase the club saw in its female racing membership in 2017. Tiffany’s other claim to fame is that she does all of this with a heart that races at inhuman rates, leading her to affectionately dub it her “hummingbird.” She will be the first to tell you that if she can do this, anyone can. Sarah has been riding bikes her whole life. She joined ERTC in spring 2014, and after a brief hiatus to produce twin girls, she rode with the WoERTC in 2016 and started racing with ERTC in 2017. She owes her success to the twins, who are the reason she needs to ride bikes to stay sane. Amanda joined ERTC in 2016, and gained the confidence and skills to go from bike commuter to group rider. She started racing in 2017, usually finishing at the back but having an awesome time trying to keep up with the "big girls" for as long as possible. When Amanda isn’t racing, she can be seen cheering teammates on in a bee costume. She also tries to get out to the Velodrome regularly to see how fast her legs can spin before they blow up, and likes to carry a stash of candy for fuel on hill training nights. Be nice to her; she'll probably share! Jess is a recovering triathlete, having raced consistently in various distances from 2007-2017. She joined the ERTC in 2017 in an effort to ride her road bike more, ended up in the Learn to Race program and fell in love with bike racing. She will never say no to an epic adventure and almost always has an emergency can of Coke in her jersey pocket. 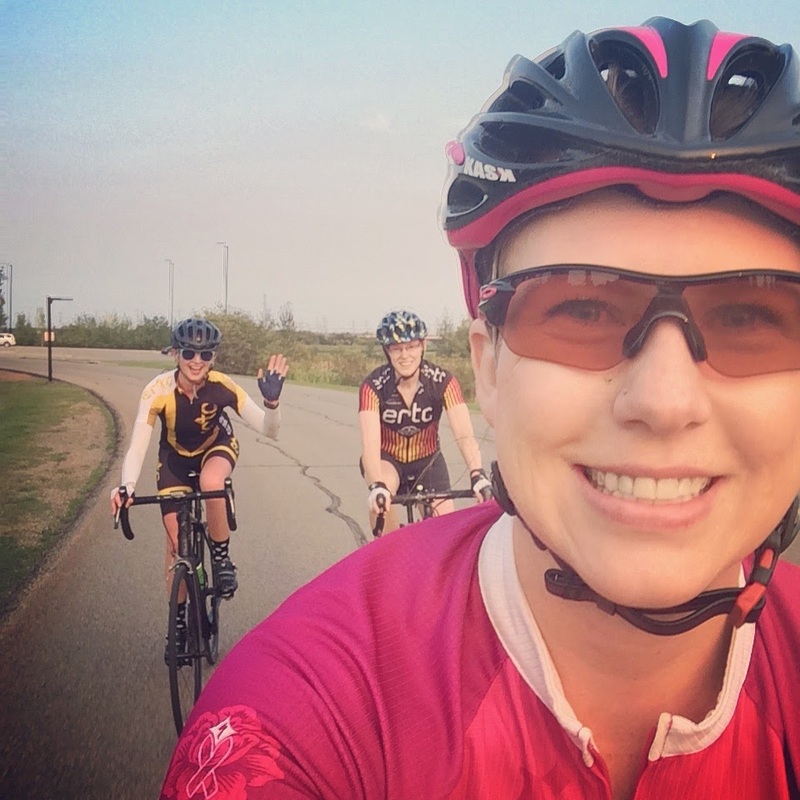 Cycling highlights include riding 300 km from Jasper to Banff last year for her bestie’s 30th birthday, riding 200 km in one day with the WoERTC at the Tour de L’Alberta, and being on the winning team at the Devon Bicycle Association’s annual Beat the Weiner race. Lowlights include breaking a Cyclocross bike frame with a rear derailleur explosion and having a habit of wasting CO2 cartridges when changing flats. Jess is looking forward to being a pure cyclist this year and leading some road and CX rides! Jennifer’s first love for two wheels as an adult started with downhill mountain biking and rolling over rocks, stumps and berms while wearing outfits that made her look like a stormtrooper. Last season was her first real season of cycling, and she quickly became addicted to the feeling of saddling up on her steed, hitting the road, having some laughs and belting out cycling karaoke. If you love to get on your bike and can sing the high notes, you will have a blast on her rides. She still dislikes climbing, and welcomes you to join her at the back of the pack on hills night. Shauna has been road riding casually for a decade, and racing the latter half. She enjoys some of the nerdier elements of cycling, including training and bike fitting. She is passionate about breaking down barriers for women in cycling and racing. Whether it is your first ride with the club or your first time on skinny wheels, she is happy to buddy up with those new to the club and show them the ropes. Shauna believes everyone can feel safe and confident in a group ride, no matter your speed. To find her on group rides, look for the shortest gal around. Marianne has been road cycling for five years. She tried road racing in 2017, and realized she enjoyed smelling the roses more than racing. You can find Marianne leading Sunday Funday rides this summer. Enjoying the ride is more important to her than a hammer fest. Marianne will push your endurance to the max, but you will ride with a smile on your face. Her smile and giggles when riding are contagious. Christine started cycling in an attempt to do a couple of triathlons, and then realized she actually only liked biking. She has been an ERTC member for two years, and the main reason she goes is for Thursdays and patio beers. She also really likes wearing a matching kit, so being part of a team only seemed natural. She loves socializing, and whether she is riding, racing or patio-ing, nothing stops her from chatting!